Party all night and sleep all day in our pyjama collection. 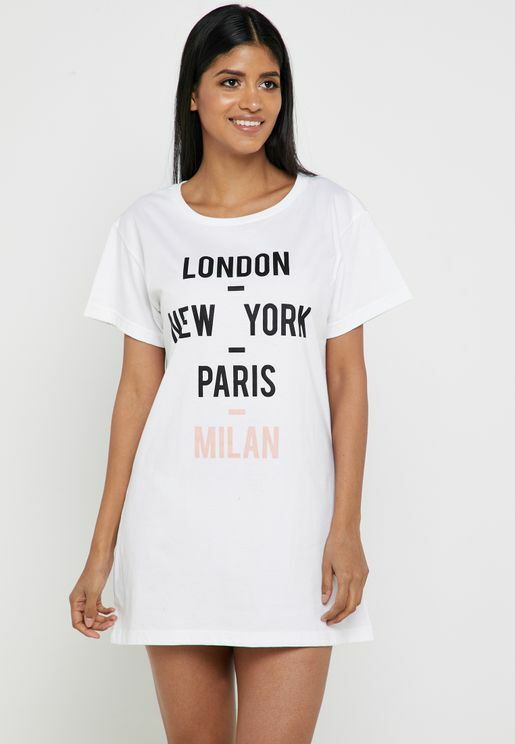 Choose from comfy cosy slogan tees, playful twin set PJ&apos;s and oversized slouchy nighties. Whether you’re allergic to mornings or an early bird, our collection will have you snoozing in style.